Racing pedigrees, easy to sail, beautifully equipped, families welcome. 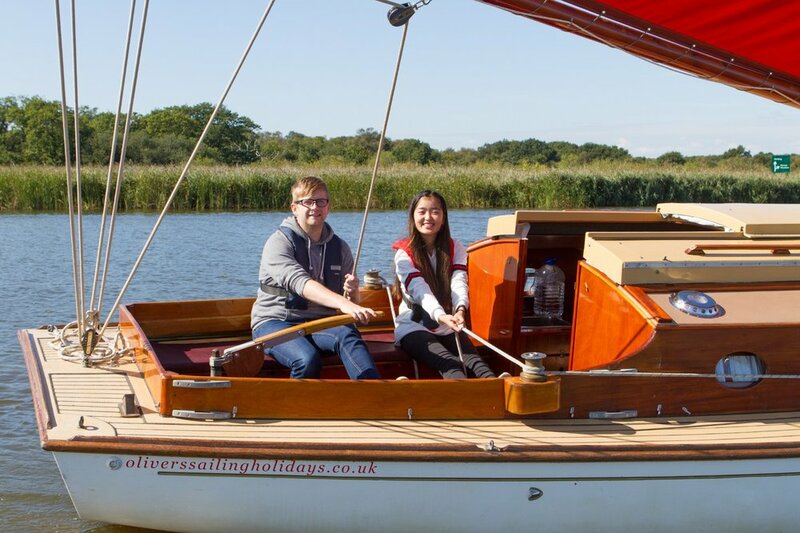 We are a small sailing holiday business, situated on the Norfolk Broads, specialising in affordable high quality boats that are fast, easy to sail, beautifully maintained and equipped with superb handling characteristics. All our yachts have showers, heating, inboard engines and come equipped with luxury down-feel cotton percale duvets, high quality towels, sheets and cooking equipment. 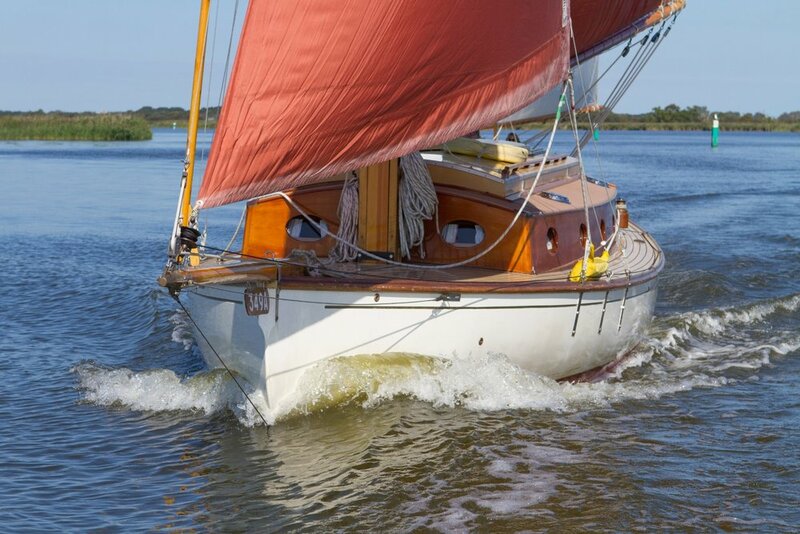 Our gaff rigged sailing holiday yachts, offer an authentic broads sailing experience in style and comfort. Families welcome. Prices start from £658 per yacht no hidden extras - short breaks available. Included in the cost of your hire is a 45 minute yacht familiarisation session and 45 minutes with a sailing instructor if required. Our boats are located at the peaceful and secluded hamlet of Martham Ferry. Overlooking the stunning National Trust's wildlife reserve of Heigham Holmes featured in the BBC1 TV series Secret Britain. The Broads are made up of 120 miles of beautiful rivers and lakes. As a National Park it features spectacular scenery and wildlife that has remained unchanged for hundreds of years. Most of the Broads can only be reached by water and offer a slower pace of life so, put the clocks back, leave the 21st century behind and enjoy a peaceful sailing holiday on the Broads. There is lots to entertain the whole family, on these safe, inland waters. Check out our map page to see all the villages and small towns for you explore on your holiday. We also offer food hampers and ready meals. If your desire is for fresh, locally sourced food for your holiday, then we have you covered. What could be a nicer way to start your holiday than a delicious deli picnic hamper? Keep evening meals simple why not pre-order some of our gourmet ready meals? Why hire a Norfolk Broads sailing yacht with a racing pedigree - Overall a much better sailing experience.